Step 2 : Place your left hand on your right ear lobe, thumb on the front of the lobe with fingernail facing outward and second finger behind the ear lobe. The right ear lobe represents the left brain. When you hold the right ear lobe this way, you energize and activate the left brain and pituitary gland. Step 3 : Now, place your right hand on your left ear lobe, so that your thumb is on the front of the lobe facing outward. The left ear lobe represents the right brain. Holding the left ear lobe this way energizes and activates the right brain and the pineal gland. Step 4 : Press both earlobes simultaneously, making sure your left arm is inside your right. Step 5 : As you press on the earlobes, squat down as fully as you can, keeping your back straight. Do 10 to 12 rounds, inhaling through the nose on the way down and exhaling through the mouth coming up. It’s normal to forget things every now and then. We’ve all misplaced our keys, blanked on an acquaintance’s name, or forgotten a phone number we’ve dialed a hundred times before. When we’re young, we don’t tend to pay much mind to these lapses, but as we grow older, sometimes we worry about what they mean. Memory loss has multiple causes including a number of chronic medical and psychological conditions, trauma, medications, drug or alcohol abuse, and infections, Depression, or due to frustration. Super Brain Yoga a fast, simple, drug-free method of increasing mental energy”. As I understand this is none other than THOPPUKARANAM. Thoppukaranam is a traditional practice in Indian Schools, accepted from Gurukula system of education to make the child sit and stand catching both the ears with hands crossing each other symbolizing punishment for lethargy, laziness and not memorizing or grasping and to improve brain power etc. 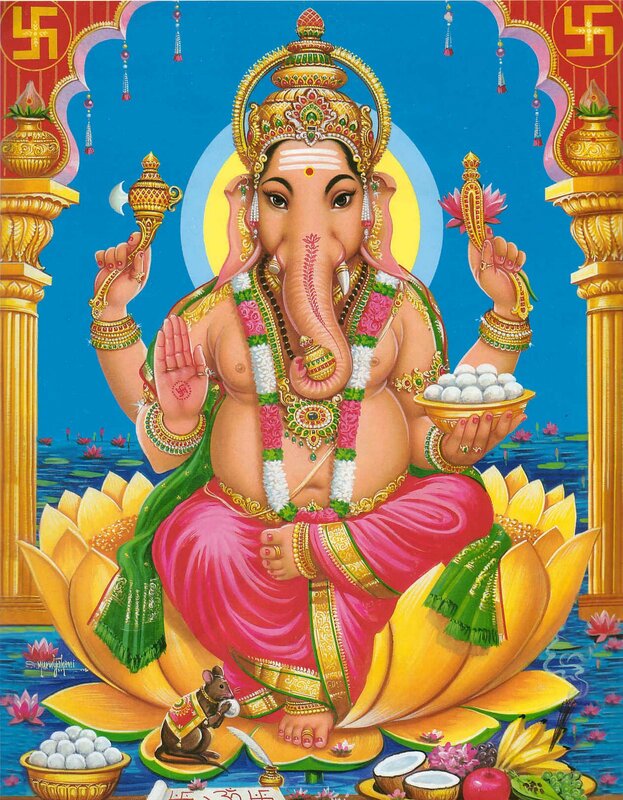 Most people do it in front of idol of Ganesha by crossing their arms and holding the ear lobes between the tips of the fore and middle finger; next they bend their knees and get up–doing this three times. This prayer is called thoppu karanam. “Thorpi: Karnam ” is thoppukarnam in its corrupted form. Which word, is related to the Sanskrit “Dvau-bhuja-karnam” “Thorpi = means with the hands, and “Karnam” = means ears. Hence “Thorpikarnam” means holding the ears with the hands. Each and every performance followed by Hindu culture is backed by some scientific truth. Thoppukaranam’ activates the acupuncture points at right and left ears thereby activating the right and left brains. Fifteen minutes of ’Thoppukaranam’ increases the brain power immensely according to sources. The physical body is a very complicated subtle electronic equipment. When a proper energy wiring connection is made, it produces the right results. When the right ear lobe is gently squeezed with the left thumb and left index finger with the thumb outside, it produces the necessary energy connection. This connection causes the left brain and pituitary gland to become energized and activated. Similarly, when the left ear lobe is gently squeezed with the right thumb and right index finger with the thumb outside, it produces the necessary energy connection, which causes the right brain and pineal gland to become energized and activated. For energizing and activating the Left Brain and the Right Brain, the left arm must be inside, while the right arm must be outside. Superbrain Yoga not only energizes and activates the brain, but also assists in balancing the energies of the heart, throat, Agnya (center of the brain-eyebrow center) forehead and crown energy centers. The Crown energy center (also called the spiritual heart) located on the top of the head is the entry point to higher spiritual consciousness. Synchronizes the right and left side of the brain to improve function and promote calmness, energizing of cells and nervous system, sharper mind, focus, additional energy. This amazing yoga which can be done anywhere, anytime at any age. You may have seen South Indians, when they visit Vinayaka shrine, do toppukarnam. After Thoppukarnam, they also knock their forehead Frontal Lobe and sides (Temple, the temporal lobe – two ends of the forehead) with their knuckles 3 times. This is known as Pillayar Kuttu. If it is done 8 times, it signifies as mentioned below. When we pray Ganesha (Pillaiyaar) we offer 8 Kuttus on our temple (both sides of Forehead) and 8 Thoppukaranams by our body. These actions have more meanings just more than offering just simple prayer. These processes are really for offering our Karmas made by 8 basic elements - Kama, Krodha, Lobha, Moha, Mada, Matsara, Bhaya and Lajja. These are the 8 behaviour oriented qualities or elements or in other words GUNAS. Our Karma is done by hands which is part of our body. We are supposed to do our karma by body (hands is an important tool of our body), speech, and mind -- Kaya, Vaacha, Manasa. While standing facing Lord Ganesha’s shrine, devotees tap the temples gently three times with the knuckles, fists closed and arms crossed in front of the face. This action stimulates certain nadis and the cochlea. It synchronizes the right and left side of the brain. It is believed that the nerves connecting to the intellect passes through these two ends and the knocking is to invoke Lord Ganesha, the god of Budhi (intellect). To be more clear n with scientific point of view, the place where we knock is the “Frontal Lobe”(the Latin word for forehead) and temples (The temporal lobe). The Frontal lobe is responsible for voluntary movement and planning and is thought to be the most significant lobe for personality and intelligence. So, by knocking there as well as the temples (sides of the forehead above the ears), we are stimulating those parts of our body (and so brain) by which our emotions are controlled well and so our mind and intellect. The typical gentle knocking on the forehead is for activating the chakras in the head -The Ajna and Sahasrara. Thanks for the information & proving that every action which is associated with/ at the time of prayer/pooja has its own scientific significance.We need to thank our ancestors/Rishis who have incorporated these practices in our daily life.